2016 proved to be a successful year for contact centers, and 2017 is predicted to be even more dynamic and profitable for the call center industry. With the ever-changing call center landscape, below are five trends that industry experts and marketers should keep top-of-mind to stay competitive in 2017.
Business intelligence (BI) is expected to grow and evolve in 2017, demanding more accurate and precise data sets that are relevant and accessible to a diverse set of commercial industries. Call center technology will need to continue to evolve in order to meet the needs of an organization’s dynamic infrastructure. With the ability to produce comprehensive data sets that can be applied to a growing and diverse business network, call center technology will reach a larger audience, thus leaving a more substantial impact. 2017 will show an increased use of video-based live chats in replacement of instant messaging, to create more of a personal connection between agents and customers. Visual presentations will overshadow scripted chat directions to effectively and seamlessly guide customers to their requested solutions, further expediting the resolution process. Throughout 2017, call centers will be implementing more video-based content into their customer service communication approach. With the increase in on-demand services, customers are constantly searching for instant answers with the fastest response times, resulting in an increased demand for omnichannel services in 2017. The number of tech devices owned by a single family household has been steadily increasing; therefore, call centers that can communicate with customers over a multitude of channels – such as email, phone, text and social media – will have more of a competitive advantage in 2017. Due to their convenience and accessibility, omnichannel services will continue to grow in popularity in 2017; therefore, investing in tools to connect with customers on their preferred communication channels is essential. Over the years, social media has grown into more than social networking, it has evolved into a platform that can be utilized by companies to receive pertinent positive, negative or neutral feedback to better assess their brands’ reputation in the global market. Connecting with customers via social media is one more step call centers can take to ensure quality customer service with a personalized touch. Social media awareness is imperative to building brand affinity and loyalty in 2017. Cloud-based services and technologies have been an ongoing trend in the call center industry that will continue to surface and expand globally in 2017. 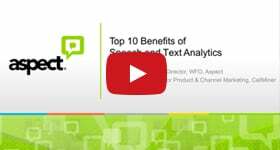 Cloud-based services compile pertinent information and tracked conversations, presenting data in a clear, concise and easy-to-read format. Corporate culture is gravitating to a more flexible, secure and cost-efficient workforce in 2017, paving the way for more cloud-based technologies to penetrate the national arena. As these predictions explain, staying up to date on new technologies is the key to better customer service and successful business operations. Keep in mind that today’s customers are more tech-savvy and can make or break a company’s reputation based on their experience. 2017 is just around the corner, is your contact center ready? 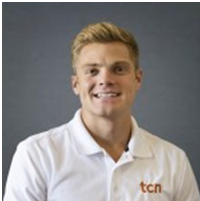 Mckay Bird is the Marketing Manager for TCN, a leading provider of cloud-based call center technology for enterprises, contact centers, BPOs, and collection agencies worldwide. Mckay oversees all marketing operations, campaigns and conferences, including content production, email marketing, and other inbound marketing activities.